Wonderful Things Wednesday! The Lovely, Yummy, Almighty COCONUT! (AKA nut-bearing monkey-face) Everything and more than you’ve ever wanted to know about Coconuts! I love coconuts. 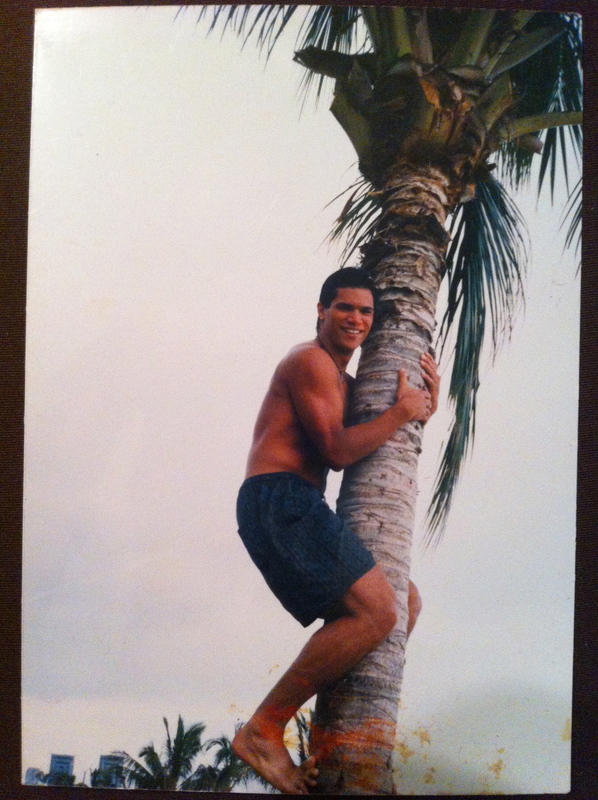 Maybe I went to college in Hawaii because of my love for coconuts, or maybe my love for coconuts started in Hawaii. I’m not really sure, but I do know that I love coconuts. I also married a Polynesian so it would be acceptable to regularly incorporate coconuts into my daily fanfare. Well, that’s not the only reason. He also looked really hot in his baby-blue security guard shirt that he wore for his on-campus job. And every time I heard him laugh, I couldn’t contain my happiness, and he laughs all the time. I knew I would be forever happy and after almost 13 years of marriage, I’m happier than ever. But back to the coconut. Not the one I married, the other, smaller brown ball of happiness that makes ordinary meals become delightsome. Have I told you I love coconuts? I know, I know, I’ve already told you. So, now let me tell you some of the reasons why I love coconuts.